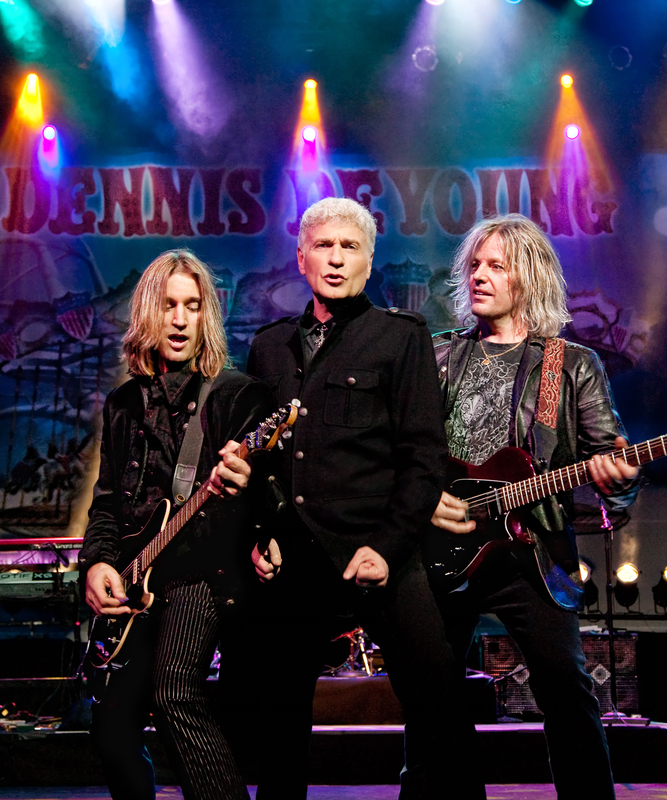 Former Styx member and songwriter Dennis DeYoung looked into his “Crystal Ball” and said he predicts his Nov. 18 show at the Zeiterion Performing Arts Center in New Bedford will not disappoint even the band’s biggest fans. He plans on playing classics like “Come Sail Away,” “Babe,” and “Lady” as well as “Renegade” and “Too Much Time on My Hands,” two songs he didn’t sing on with Styx. With Styx, which had five top-ten albums in the 1970s and early 1980s, DeYoung wrote songs that serve as the soundtrack for a generation of people. Today, many of his hits continue to be played on the radio. Nevertheless, DeYoung is grateful. He feels humbled that he has been able to perform for the last four decades. While many bands are playing some of their classic albums in their entirety from start to finish, DeYoung doesn’t think it’s the best idea. He said he hasn’t considered it because he doesn’t believe his fans would enjoy it. With the addition of bassist Craig Carter and guitarist August Zadra to his band in 2010, DeYoung said he is able to recreate the sound of Styx, as both musicians are also vocalists. This, he said, was intentional. After a friend suggested Carter to DeYoung, Carter sent DeYoung a demo, which impressed him. It wasn’t long before the bassist was enlisted. DeYoung then recruited Zadra after his son Matthew woke him up at 12:30 a.m. one morning and told him to check out a YouTube video he discovered online of Zadra singing “Blue Collar Man” in a Styx tribute band called Mother of Pearl. He said he knew he found the missing ingredient. But it can’t be forgotten that DeYoung not only brings his vocals to the mix, he also contributes his keyboard skills. His main influences are John Lord of Deep Purple, Keith Emerson of Emerson, Lake and Palmer, plus Jimmy Smith, who DeYoung described as the Jimi Hendrix of organ playing. Another aspect that puts him in a distinctive category is the fact that he’s a successful musician who has been married for 41 years. His wife Suzanne joins him on tour. However, she doesn’t hang out in the audience or backstage. Instead, she gets up there with him and sings. DeYoung said they’ve been able to sustain their relationship by staying committed to one another. He referenced a quote made by George Harrison’s wife Olivia in Martin Scorsese’s “Living in the Material World,” an HBO documentary about the former Beatle, to illustrate his point. Prior to becoming a professional musician, DeYoung was a music teacher at an elementary school in Chicago. At the time, he and Suzanne had one child. Now, the couple have two children, Carrie Ann, 40, and Matthew, 31, who joined them on the road in their youth. Like Suzanne, Matthew still takes part in the fun, as he operates the lighting for his father’s shows. “I’m happy that he chose a position that allows him to be creative and make sure the lights are on his old man,” he said. At the moment, DeYoung plans to put out a DVD/CD of the acoustic show he performs with his band. He also continues to write music.